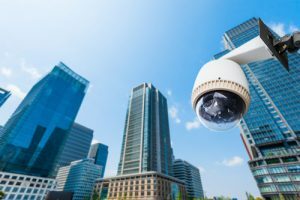 Completely wireless and self- powered this system is the foundation to back to base monitoring when it comes to protecting your site and deterring criminals. On Entering any detected motion will activate the camera. This in turn sends a live video of the intrusion to our grade A1 monitoring station for verification whilst an audible siren and strobe start to operate. Once verified by our trained operators you are notified of the situation and in the instance where a crime is taking place Police or Patrol dispatch can be requested on your behalf. It is the most affordable and highly effective security solution to Preventing crime from occurring, protecting against criminal activity as well as Capturing the Intruder in the act. Our Live Stream CCTV system offers the latest in technology in protecting your site and deterring criminal activity. With its completely wireless and self-powered 4G CCTV camera the applications are endless. From allowing you to view your site live at anytime and from anywhere to providing 24/7 recording of your site as well as notifying you when motion has been detected, this system is at the forefront of site security and management. Affordable and cost effective in site management and security , The possibilities are endless ! Motion Detection Capability – 24/7 or during preferred times. Manage Trades /Deliveries and site activities. For any of your business or home security solutions , Site Protect can provide you with the latest technology designed for your needs . From both a monitored back to base system or a self monitored system, we will devise an affordable solution to meet all your security needs. Our Team of qualified technicians will help you understand what security requirements will best meet your needs for quality and cost effective protection for your home and business . From installation , programming and right through to maintenance our staff will be there to provide all the support and operations required to help you . With no hidden costs , you can trust us to provide you with the lowest and most affordable price on the market. Our mobile patrols can be requested to attend to any alarm response and ensure your site is safe and secure against Intruders. With an in depth check of both the Internal and external perimeter they ensure your site is safe and any offences or unauthorised person onsite is identified and reported. As a Grade A1 Monitoring control room we have a priority Response by Law enforcement and Security dispatch when it comes to any of our dispatch requests.The ability to verify by video the offence occurring allows us to utilise this priority response process to catch the offenders in the act and reduce crime and theft on all our sites. 3/19 - 25 Somerton Rd. Copyright © 2019 Site Protect. All Rights Reserved.